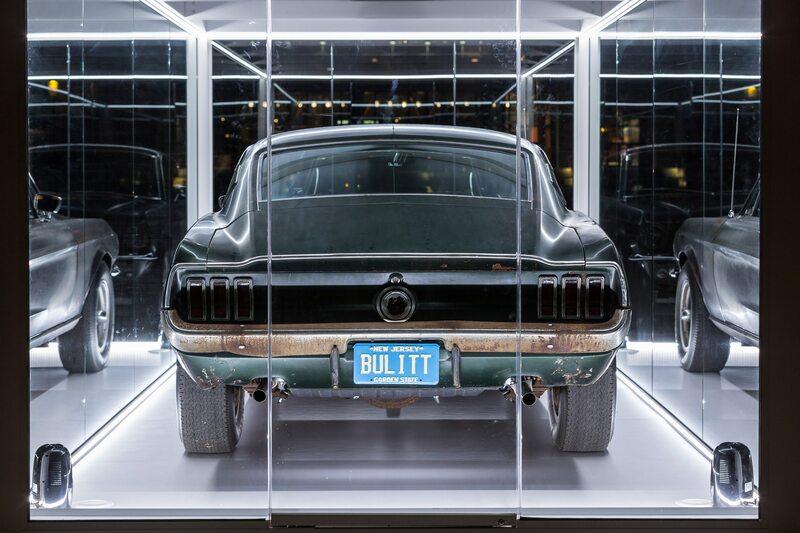 The original Highland Green 1968 Ford Mustang GT driven by Steve McQueen in the “Bullitt” film goes to Washington, D.C. this weekend. 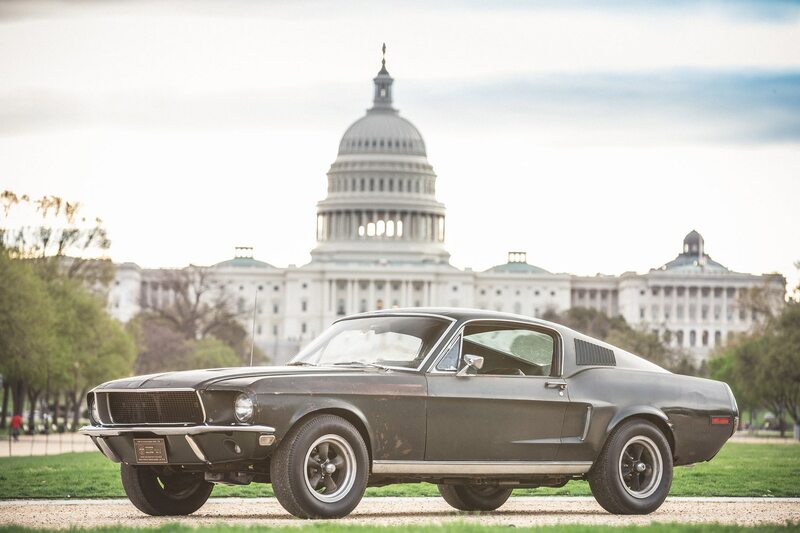 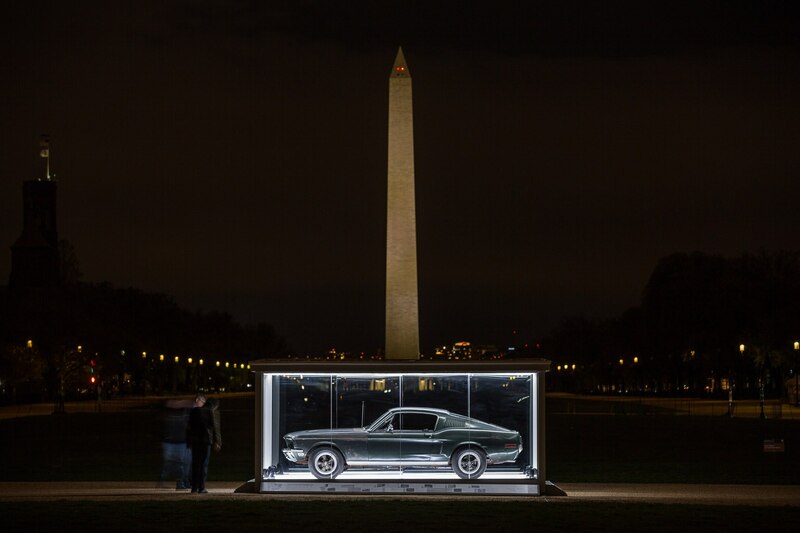 You can find the classic Mustang on display at the National Mall in celebration of the 50th anniversary of movie and the pony car’s 54th birthday. 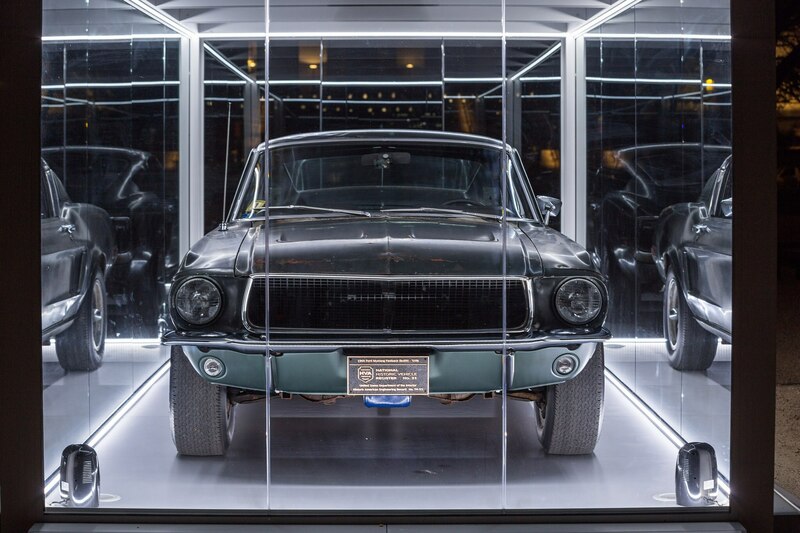 The movie Mustang GT was rediscovered recently and was one of the stars of this year’s Detroit auto show—along with the 2019 Ford Mustang Bullitt. 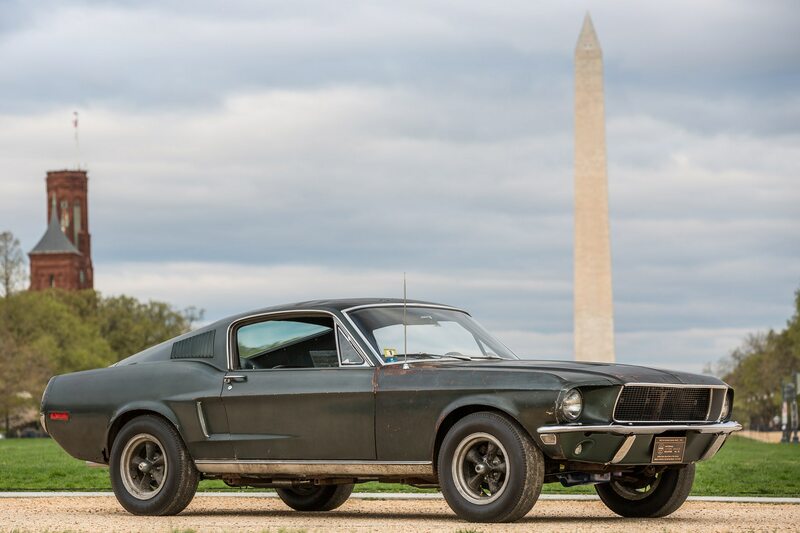 It was one of two vehicles uses in the shooting of the film and is currently owned by the Kiernan family from New Jersey since 1974. 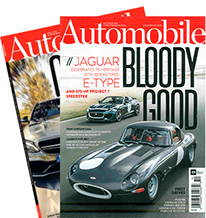 The other stunt vehicle turned up last year in poor condition in a junkyard down in Baja, California. 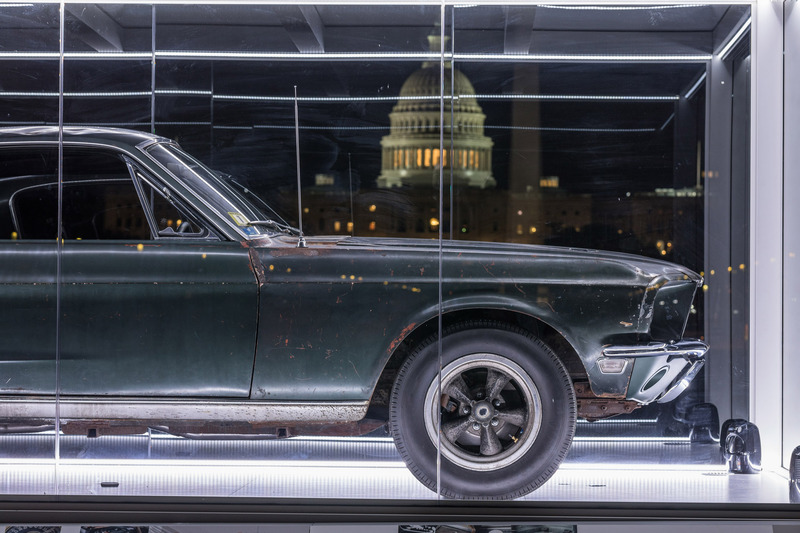 This car faired much better and is currently unrestored—it has camera mounts welded underneath, a Warner Bros. parking lot sticker, and is missing its rear backup lights. 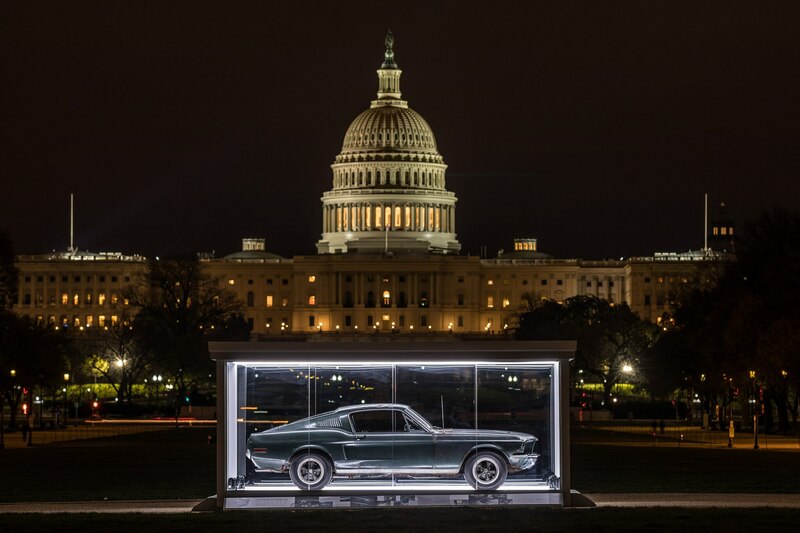 If you’d like to see it in person, it will be on view through April 23 in a glass garage display that’s illuminated around the clock near the Washington Monument. 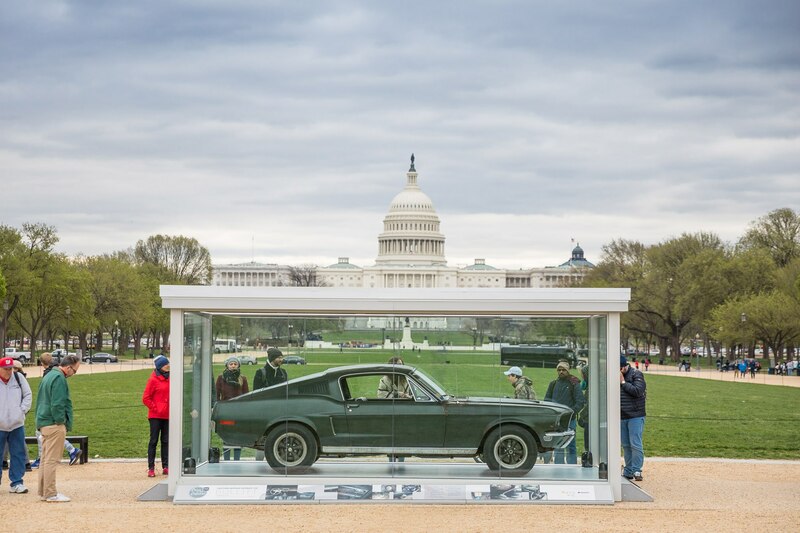 Also on display is the 15-millionth Ford Model T, which is part of the Historic Vehicle Association’s month-long Cars at the Capital celebration. 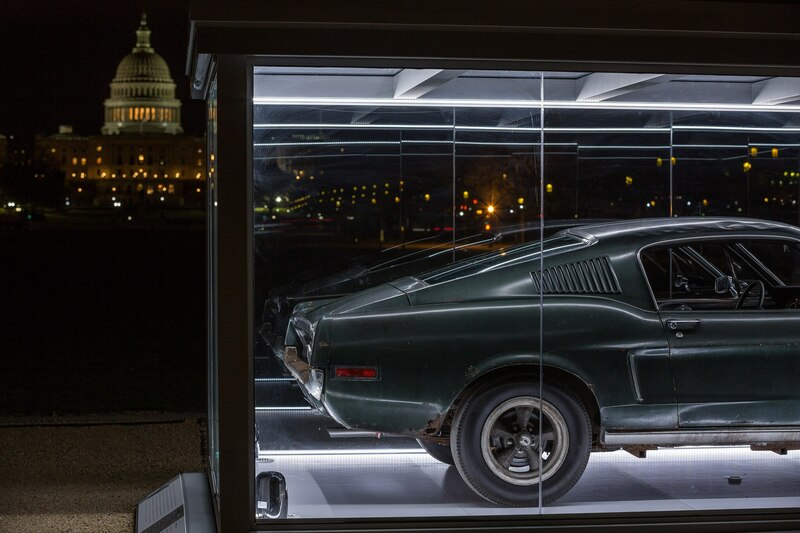 “To see the Bullitt under glass within steps of the Smithsonian museums, the Lincoln Memorial, and the Washington Monument is a fitting tribute to automobiles that have transcended utility to become truly iconic examples of America’s culture,” said Carl Widmann, Ford Mustang chief engineer in a statement.